E-Flex LED makes your products shine! We are here to reinvent your product performance. With doors, covers, hinges, lighting… everything that comes in play. Accompanied by the high tech know-how from our Dutch Product Performance Factory. Clear Vision Cooling® brings you huge advantages in sales and energy reduction. Our truly tested solutions will make your products – and you – look good! Maximum visibility as focus for door designs is one, but to have the best product presentation for your consumer, you need to include proper lighting. As the only one in Europe designed & tuned under one roof, we offer various E-Flex LED solutions: a fit for every shelf of your refrigeration cabinet e.g. with our new generation vertical E-Flex LED’s tuned to our LCC-doors. For every door we provide, we have designed it to be robust and durable. For that we apply glass silicate layers on the plastics to enhance scratch resistance and anti-fouling. If after years renewal would be on the horizon, we can apply deposit money for proper circular re-usage of the doors. 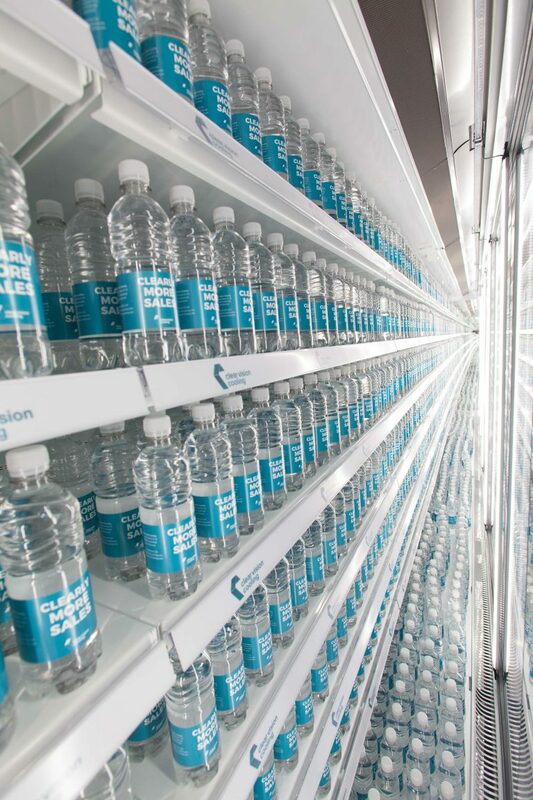 Our FullVision doors are made out of PET, the same monomers as we all use every day in our PET bottles, making it suitable for 100% circular use. 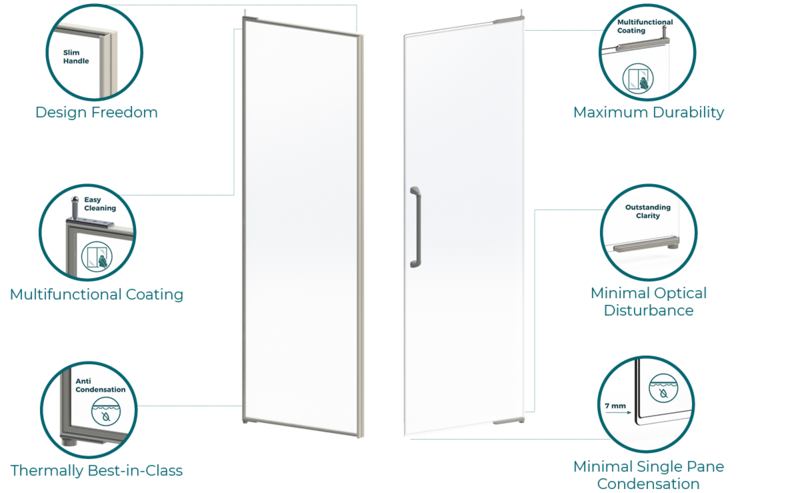 With a special mounting system we can install the doors in a very short time; the light weight of the doors makes it extra simple. One & the same universal base profile is applied in top & bottom for both the Full Vision as well as the LCC doors allowing as well easy fixation of our E-Flex LED solutions. To ensure a tight alignment of the doors, and at the same time give a straight look and feel to your customers, we bring new hydraulic hinges to the market. The hinges allow the doors to be maintenance-free, which is good to know for your busy store, where the refrigeration section continually has to perform and the sale must go on. Each supermarket has its own set-up specifics. Gathering all data digitally for a suitable solution for your own supermarket set-up, we provide fast and complete custom made doors and E-Flex LED lighting solutions. 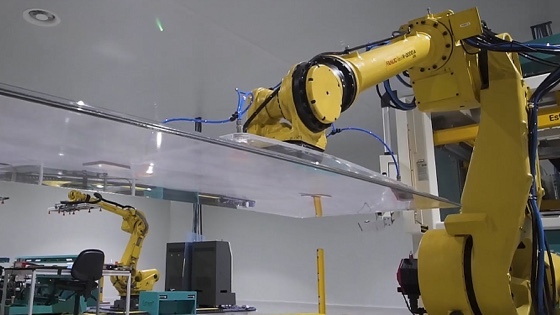 Clear Vision Cooling, a 1000 m² state of the art, 21st century robotized manufacturing set-up, with clean room settings, established in Harderwijk. Gathering all needed data digitally, we process these to 3D designs, part lists, etc. which can be used in our robotized set-up and ERP system. In that way we can offer the needed flexibility and ensure very short lead times. Made to order, aiming at 100% in time & 100% right. Subscribe to our newsletter and stay in touch about our newest innovations.